Our brochure templates have been updated to be more flexible for your needs. 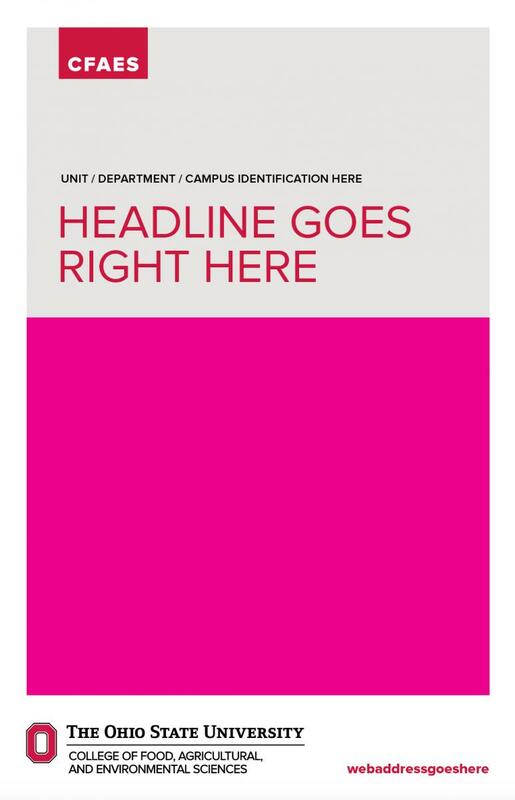 They are available in three sizes—tri-fold, bifold letter, bifold tabloid—and each file contains four brand-compliant designs. Choose the layout you want to use, delete the other pages, and get creative with your designs! 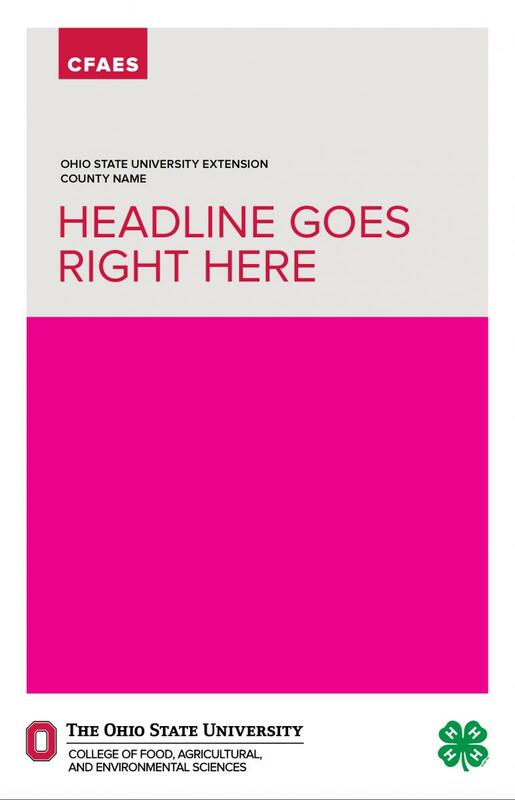 The Microsoft PowerPoint and Adobe InDesign files are available to all members of the CFAES community with Ohio State login credentials. Please email CFAES_BAT@osu.edu if you encounter any problems accessing them.